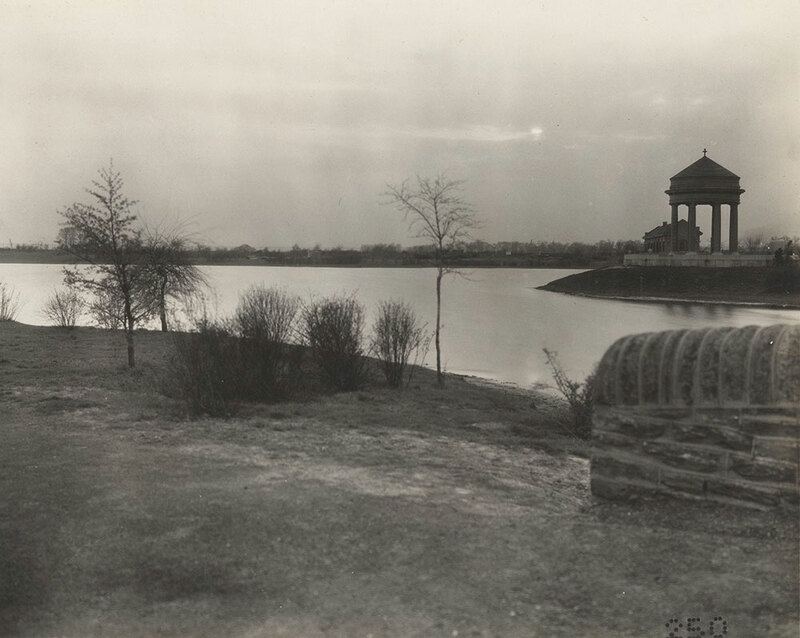 View of Sesqui-Centennial International Exposition site approximately one year before the event. Views of the outlook, League Island Park." Back of Photograph: "League Island Park Scene"